Monday August 27, 2018 - President Uhuru Kenyatta has received intelligence from National Intelligence Service (NIS) and the Directorate of Criminal Investigations (DCI) that one of the Supreme Court Judges has over the years been engaged in acts of corruption and tax evasion. According to a DCI officer who requested anonymity, the Judge was reported by the Kenya Revenue Authority (KRA) to the Director of Public Prosecutions over the suspicious movement of large sums of money in and out of his bank accounts. The Judge is said to be involved in the collapse of Imperial Bank in 2015 where he was given a bribe of Sh 12 million by the directors of the said bank. The Judge also faces numerous counts of stealing, abuse of office and unlawful failure to pay taxes. President Uhuru Kenyatta has already instructed the DPP and DCI to arrest the Judge once they finalize with the investigations which they claim are “intact”. The Judge is said to school his children at Eton School, which is one of the most expensive schools in the world. Kenya’s Supreme Court is made up of seven judges. 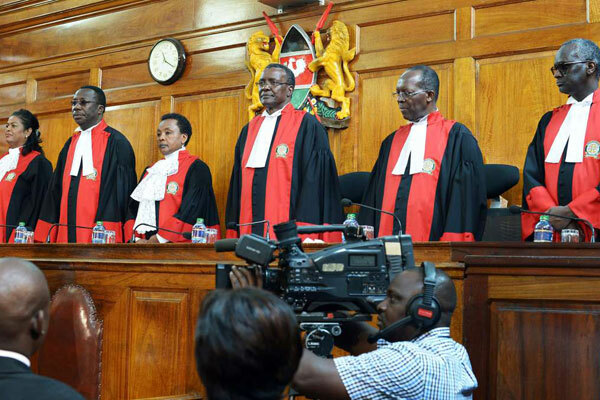 They include Chief Justice David Maraga, his deputy, Philomena Mwilu, Justices, Isaac Lenaolo, Prof Jackton Ojwang, Njoki Ndungu, Mohamed Ibrahim and Smokin Wanjala.